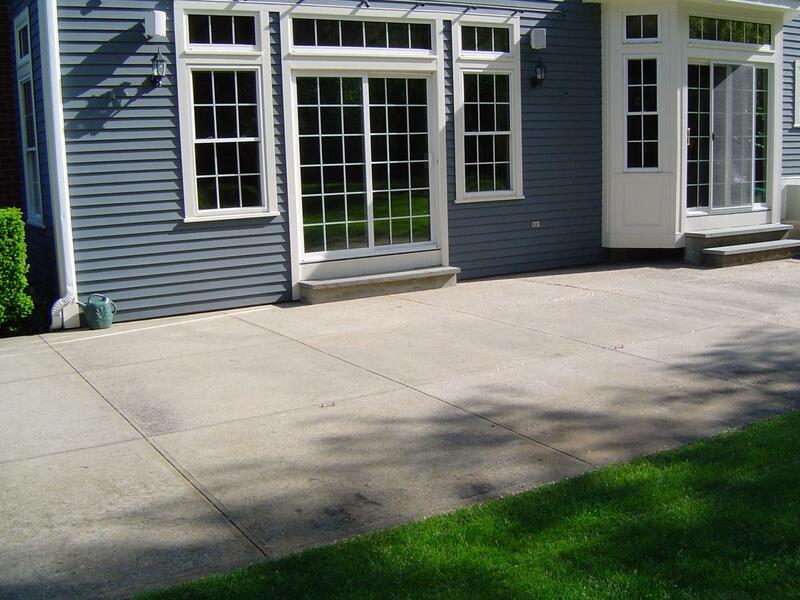 Artistic Stamped Concrete of Rhode Island - The process of stamping the concrete. 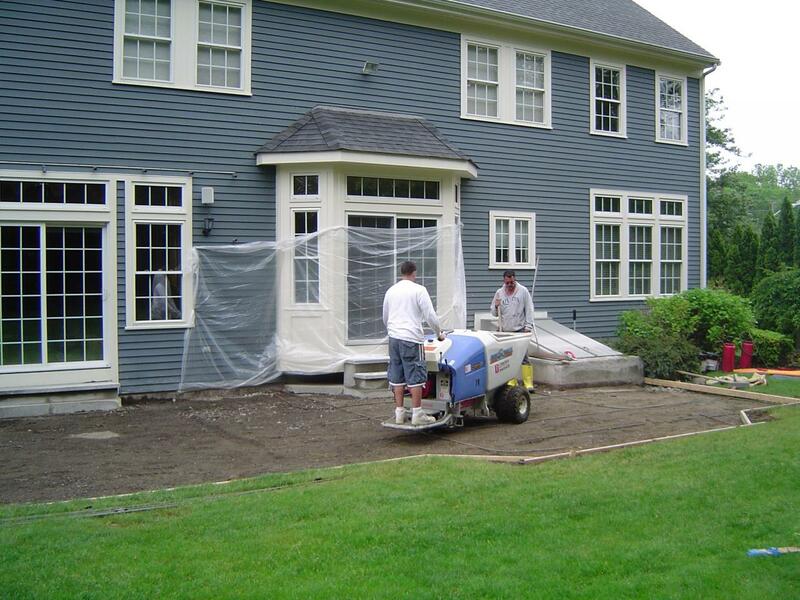 The process of stamping the concrete. 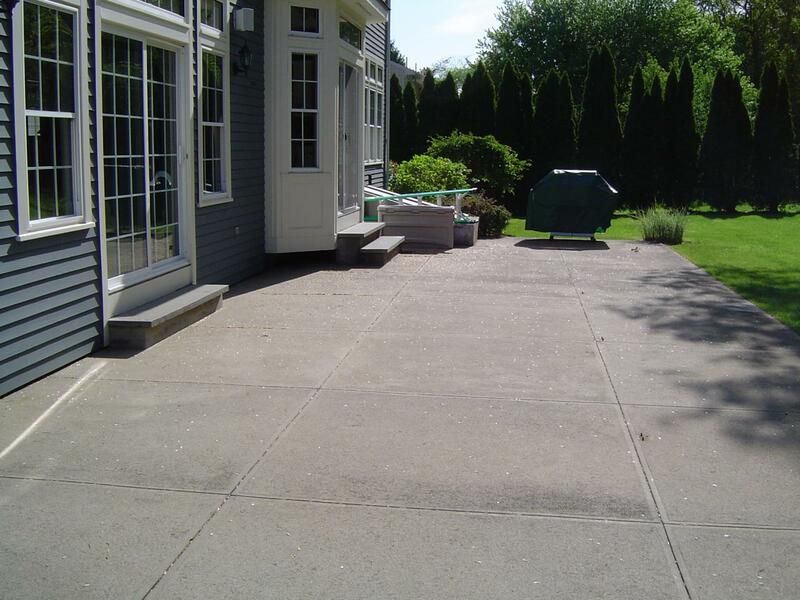 Stamped concrete is a process where a pattern is stamped into the wet concrete, giving it the appearance of natural stone rather than plain old cement. 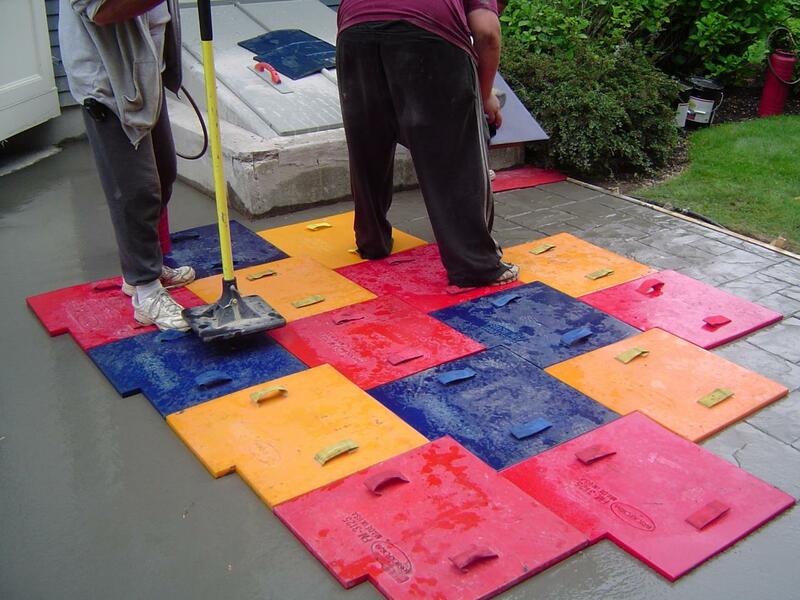 The stamps are large, flat and made of rubber that's firmly pressed over new concrete surfaces. Use this space to let your visitors know how they can find more information about your ivvmages or business. If you're selling the items shown, be sure to include ordering information and a link to your Products and Services page.